I tweeted about discovering Costa’s strawberry lemonade a few weeks ago, but it probably bears repeating… When I worked in Calgary (and when I holidayed in Toronto) I really enjoyed Second Cup’s strawberry lemonade, and was quite disappointed to find that no coffee shops sold it in the UK on my return. 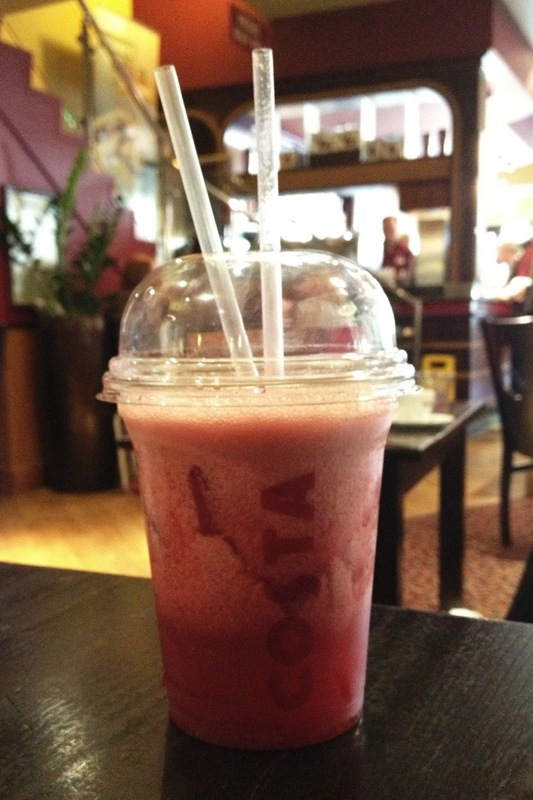 But five years on, Costa has started selling it, and whilst it isn’t quite as lemony as Second Cup’s, it is pretty good! This 1,850th post was filed under: Photo-a-day 2012, Costa, Newcastle-upon-Tyne, Retail.